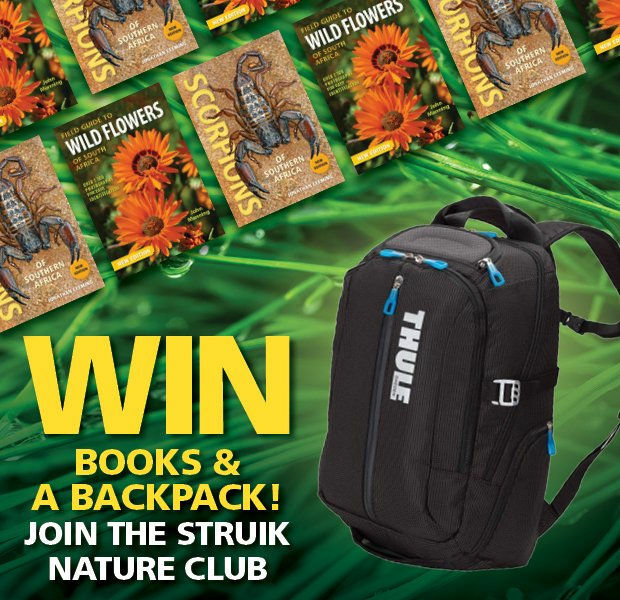 Each hamper includes a copy of Field Guide to Wild Flowers of South Africa and Scorpions of Southern Africa PLUS a Thule Crossover Laptop Backpack valued at R1899! Struik Nature has more than 300 books to offer, covering birds, reptiles, mammals, popular science and more. Join the Struik Nature Club today, and be the first to hear about our new releases, special offers, book launches and author events. It’s fun, free to join and you have lots to gain!